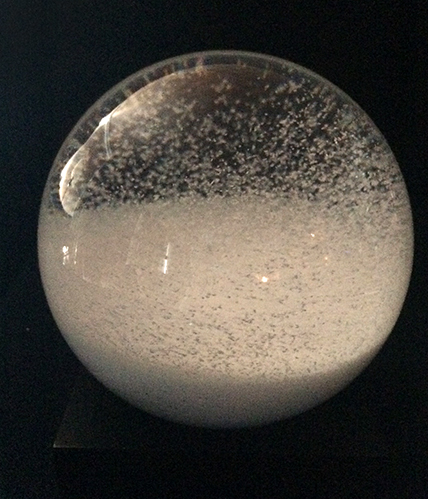 Here are the snow globes that are in my home. This one is 12″ in diameter. I love the size and that it just contains snow. 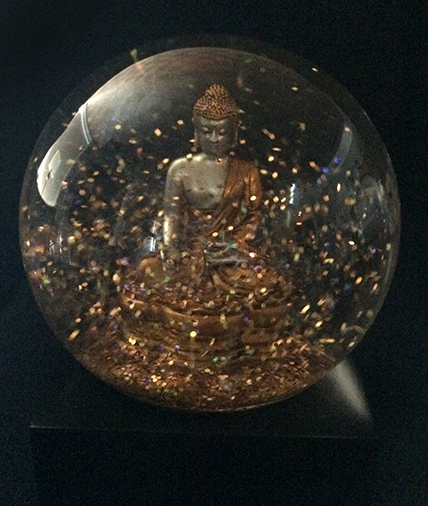 This snow globe reminds me to be mindful even when everything seems to be swirling around me. 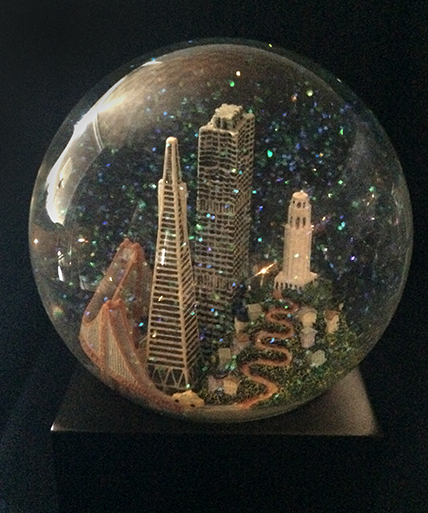 This is my daughter Kelly’s snow globe of San Francisco. I reference it in Love Me Don’t Leave Me. 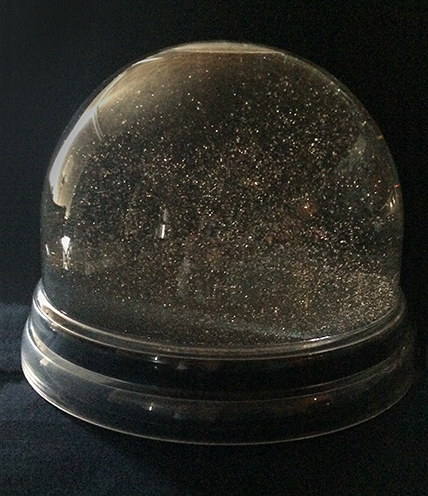 This is another snow globe without a scene. It invites my mind to imagine.